Fruits are essential foods in any healthy eating plan. However, there are some varieties that are best avoided within a diabetic diet. For what reason? Although all provide significant contributions of vitamins and minerals, a small part has a high contribution of natural sugars and carbohydrates that make it difficult to regulate blood glucose. Although its occasional use does not usually generate more inconvenience, it is best to try to replace them with other options that offer benefits against diabetic disease. Still, do not know what they are? Know them! All patients with high blood sugar levels should modify their eating habits as a primary measure of treatment. 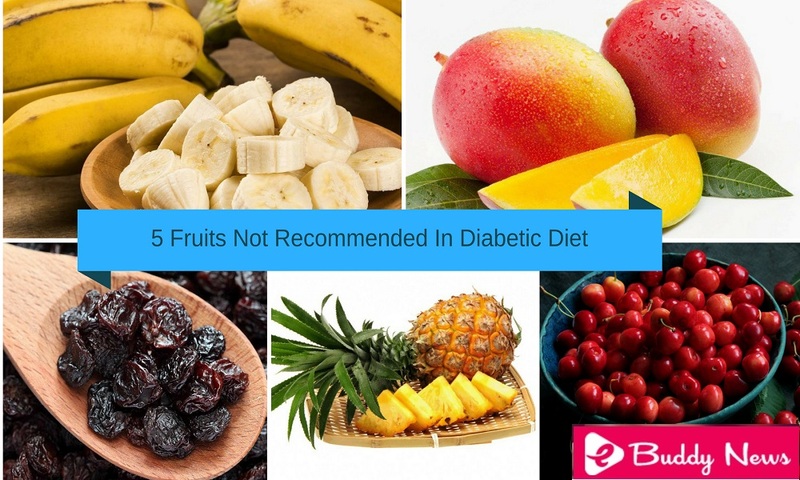 Due to this, it is convenient to know the fruits not recommended in a diabetic diet. It is true that each food plan must have the endorsement of a health professional. However, there are generalities that everyone can apply to help control this condition. The issue of fruit consumption in diabetic patients continues to generate controversies. While many may consider it harmless, others agree that sweeter ones can be harmful. The truth of this is that it is advisable to choose those with a low glycemic contribution, that is, they contain few sugars and carbohydrates. Thus, by lowering the “load” of the organism, it is easier to restore glucose to stable levels. Let’s see the “forbidden” fruits below. The banana is one of the fruits that should be moderated or limited within a diabetic diet. Its glycemic index is higher than that of other fruits, although not high enough to make the problem worse. On the other hand, their sugar levels vary according to the degree of maturity, so it is best to eat them when they just begin to mature. This is because the starches are transformed into sugar as they mature. As it happens with other fruits little recommended in the diabetic diet, the mango contributes unnecessary sugars that make difficult the control of the problem. However, it can be added sporadically without any fear. Although there is no risk in type 2 diabetes, it is best avoided in cases of gestational diabetes. Since this condition only occurs in the months of pregnancy, being risky for the fetus, it is better to try not to consume it. Opinions on the consumption of raisins in diabetic patients are divided. While some doctors suggest eliminating them completely from the diet, others believe that there is a lack of evidence to determine whether they actually cause any negative impact. In any case, the general recommendation is to limit your intake as much, as they are a source of fructose and glucose. As many knows, an excess of these substances can influence high peaks of blood sugar. Pineapple is one of the tropical fruits that acquire a delicious sweet taste when they reach their highest degree of ripeness. While it contains many nutrients that benefit health, it is better to minimize its consumption when it comes to controlling diabetes. Since their glycemic index tends to be high, the portions that are taken occasionally should not exceed 100 grams. In fact, it is ideal to accompany pineapple with a food with proteins such as Greek yogurt. It’s not that cherries are harmful to people with diabetes. The problem occurs in that they are usually sold in jars with syrup that, of course, represent a health risk. Eating a small portion of natural cherries provides nutrients and antioxidants to the body. However, when they eat those that come in bottles, the glucose rises and interferes with the control of diabetics. Almost all fruits can be included in a diabetic diet without any type of risk. The key to not stop being a healthy food is to take care of the portions and combine them with other ingredients with low glycemic index. How to eat fruits more safely? The topic may cause a little doubt. Therefore, below we collect some recommendations so that there is no more fear in eating them. It is better to consume the fruit alone, mid-morning or in the afternoon. Buy fruits of a small size. Avoid dried fruits or in syrup. If the fruits are preserved, they are in their own juice. It is always better to eat a piece of whole fruit than a juice. However, a juice is better than any other soft drink. Do not eliminate all of the fruits of the diet. A simple way to measure the portions is to not exceed the palm of the hand. Because of its high glycemic index, some fruits should not be consumed very often in a diabetic diet. Despite this, ingesting them occasionally does not usually represent a problem. It is best to try to choose those that benefit from glucose control.